U.S. and Afghan forces conducted a series of strikes over the past 24 hours against Taliban drug labs, to target the revenue streams of the terrorists, according to the Resolute Support mission and U.S. Forces Afghanistan commander. 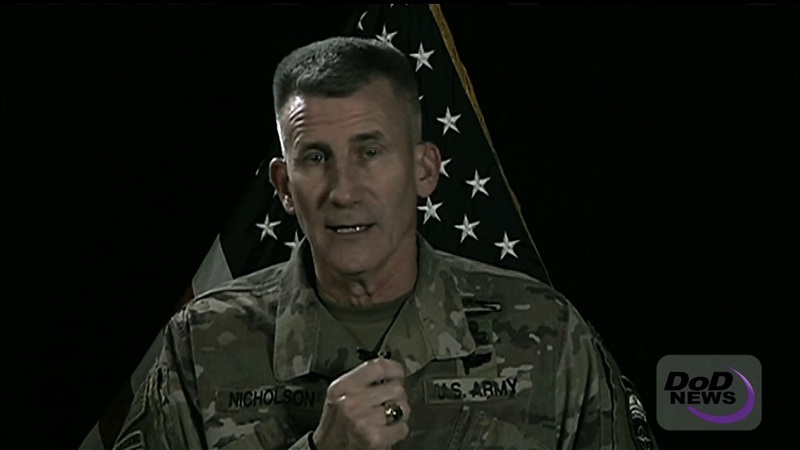 The combined operations struck seven Taliban drug labs and one command-and-control node in northern Helmand province, Army Gen. John W. Nicholson told Pentagon reporters today. Nicholson, who spoke via teleconference from Kabul, Afghanistan, said northern Helmand is the so-called emirate of the Taliban where the terrorists have enjoyed relative freedom of action and where much of their drug enterprise is located. “Specifically, in striking northern Helmand and the drug enterprises there, we're hitting the Taliban where it hurts, which is their finances,” he said. The Afghan air force led the strikes yesterday with A-29 Super Tucano attacks against drug labs and then, last night, they were supported by U.S. Air Force B-52 Stratofortresses and other strike aircraft, to include the F-22 Raptor, the general said. The terrorists are increasingly turning to narcotics trafficking as well as illegal mining, kidnapping and murder for hire to fund their insurgency, Nicholson said. He said law enforcement officials have told him that about 4 percent of the heroin in the United States is from Afghanistan -- and they say that number might grow. Nicholson said the strikes did not target the poppy farmers, but rather the production facilities. He explained that the farmers are forced by terrorists to grow the crop that is processed into opium, morphine and then heroin. The general complimented the Afghan government and security forces for their efforts in the fight. The security forces are brave and have sacrificed much, he said, adding that their capacity is growing and they are doing well in the battlefield. “These are the choices they face,” Nicholson added. Three of the strikes were in Kajaki district, four in Musa Qalah district and one in Sangin district. The strikes were carried out under new authorities in the current U.S. Afghan strategy, he explained. Under the new strategy, which is not yet 90 days old, U.S. forces can “attack the enemy across the breadth and the depth of the battlespace,” as well as their financial networks and revenue streams, the general said. 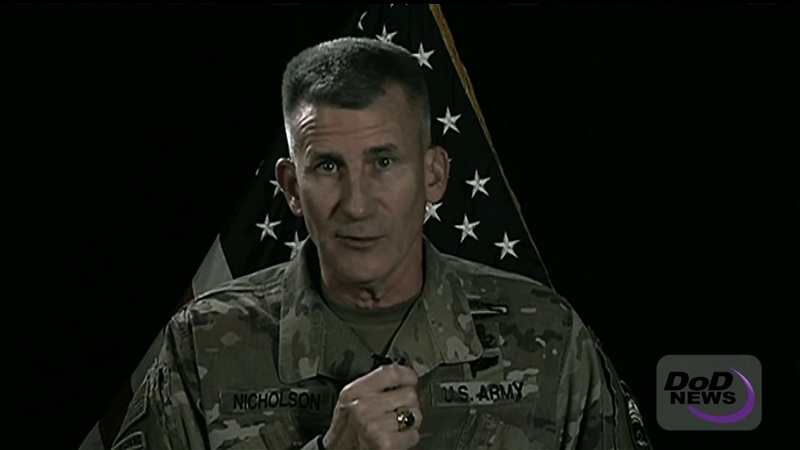 Nicholson noted previous authorities required U.S. forces to be operating in proximity to Afghan forces, so the U.S. forces could strike in defense of the Afghan forces. However, targets such as support infrastructure, training bases and infiltration lanes really were not included under those previous provisions, he explained. The combined strikes yesterday were the result of many hours of planning and the result of trust and close cooperation between the United States and Afghanistan, the general said. “Our message to the Afghans is very straightforward: ‘We are with you, and we will stay with you,’” he said. “Their fight on terror is the most important fight in the world, and it's a fight on behalf of us, as well as them,” Nicholson said. It's a fight that secures the U.S., the coalition and Afghanistan, he added.